Heinemann Educational Books, 9780325004600, 144pp. "How can I get my students to revise their writing?" If this is one of your most frequently asked questions, then this is the book for you - a guide to specific strategies you can teach to enable your students to re-see and re-shape their writing on multiple levels, from word choice to organization. Longtime writer and writing teacher Georgia Heard knows firsthand what a daunting task revision can seem to both students and teachers. First, she addresses students' confusion about the differences between editing and revision. She shows you how to reassure your students that revision is not an indicator of bad writing, but an integral part of the writing process. Then Heard provides ready-to-use strategies that take the mystery out of teaching revision and help even the most reluctant writers revise. Using three main Revision Toolboxes - Words, Structure, and Voice - she offers dozens of specific revision tools to inspire students to revisit their work. 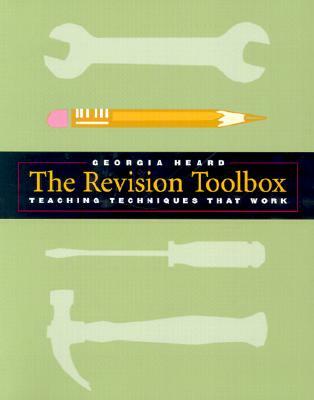 In addition, Heard includes: a "Revision Lesson" for each tool to show you how to teach that strategy techniques to help students reread their writing from different points of view conferring techniques to guide you when instructing individual students revision examples from students and from Heard's own writing "Revision-at-a-Glance" - a quick-reference sheet for students on every revision tool. Make revision inviting. Make it a part of your students' writing process. Then watch as they fine tune and improve-and the real pleasures of writing and teaching begin.